The free Opera web browser includes a built-in and feature-rich email client that lets you surf the web, subscribe to feeds, and manage your email from a single platform. There are a number of excellent email clients available, including Outlook, Thunderbird, Eudora, Mac OS X Mail, and similar. But Opera Mail allows users to have the features and functions these tools offer, in a very familiar place, a web browser. What’s more, Opera Mail makes it easy to combine email accounts and manage all or most email from a single client. 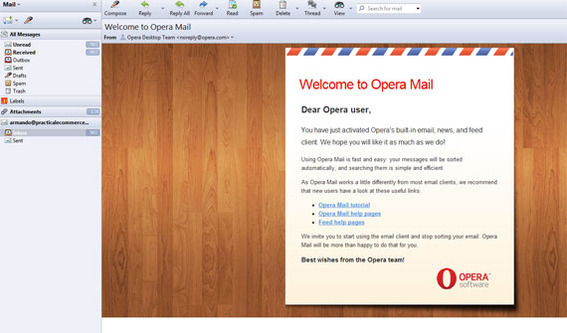 Opera Mail lets users check their mail from their browser. "Mail and Chat Accounts" under the "Opera" tab. Opera offers users a few new account options. When you select “Email” as your new account type, a new dialogue screen asks for your real name, email address, and organizational affiliation—here the organizational affiliation is optional. Opera asks for basic user information. Submitting this information moves you further into the process and opens a new form that wants to know your username and password for the email account you will be accessing. 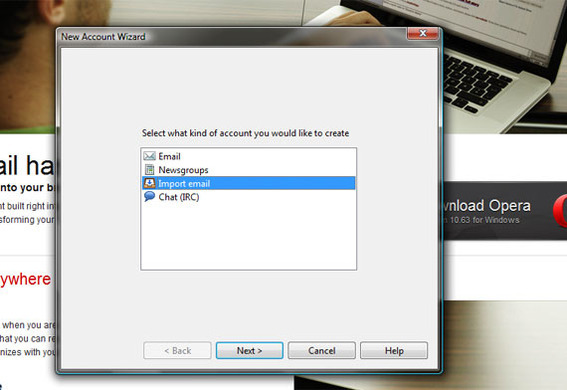 This screen also gives you a chance to select your email account type. Most email services use POP or POP3, which stands for “Post Office Protocol” and is a standard rule set that mail clients use. Some email services use IMAP, or “Internet Message Access Protocol.” Your email service will usually list what type of account it is and the other server data you’ll need in your its “settings” or “account settings” menus. Opera next asks for your username ("Login name") and password. The next step is to define your incoming and outgoing email servers. Opera will take a guess at the server name base on your domain name; if you’re using a well-known domain or service provider, odds are good Opera Mail will guess right. As an option, you may wish to use a secure connection if your email service offers it. 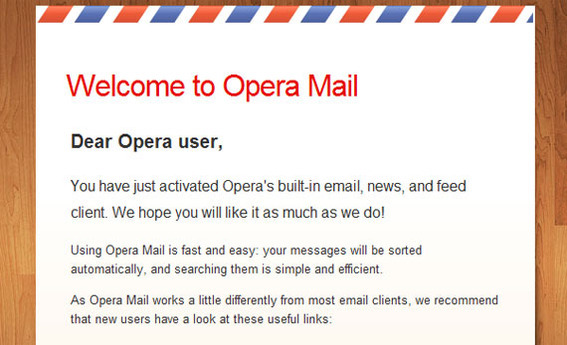 Now Opera Mail needs your email server information. Clicking “Finish,” will send Opera Mail off looking for your email messages. As a word of warning, if you have done the smart thing and left messages on the server, there could be a few thousand messages flowing into your new Opera Mail client. Just sit back a wait a few minutes. Opera Mail will open a new message pane on the left-hand side of the screen from which you can access your email messages. 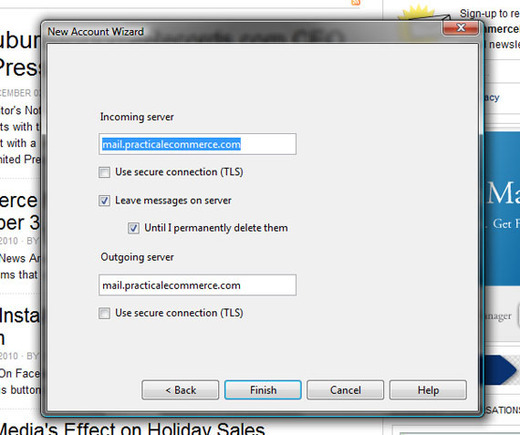 Opera Mail is completely integrated into the Opera browser. 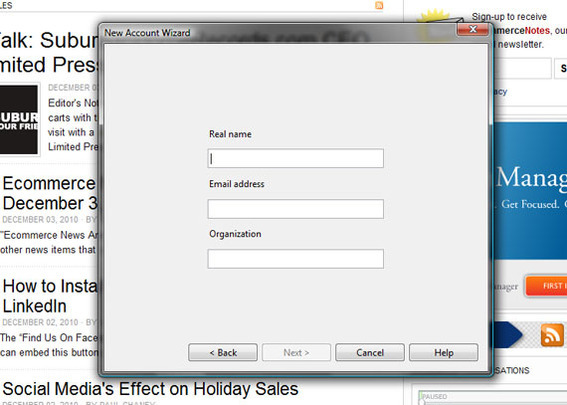 Selecting an inbox opens the email panel as a tab in your browser. So, you can switch to your email as easily as you switch tabs. 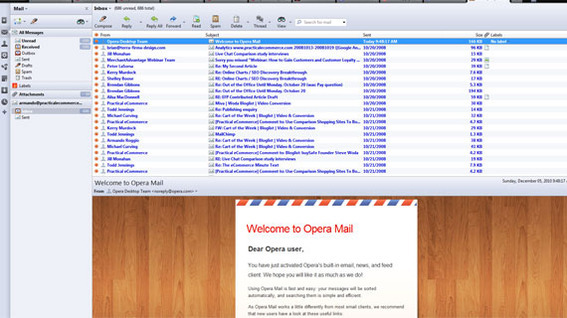 Opera Mail lets you see your inbox as a browser tab. 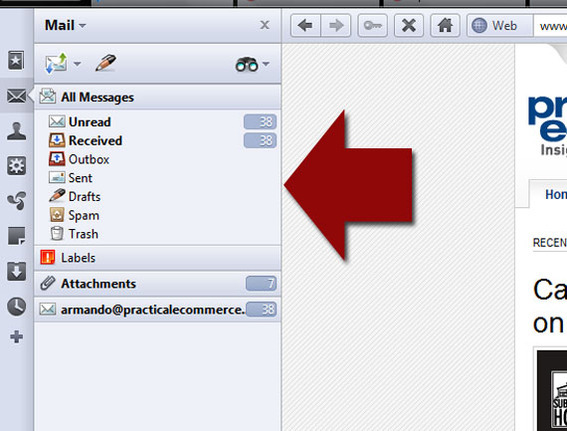 Individual messages may also be opened as individual tabs. Opera Mail allows each message to be seen in a browser tab. Finally, this process can be repeated for every email service you have and use, so that company email, Gmail, and other email accounts may all be accessed from Opera Mail right in your browser. Opera Mail is also a good way to organize and read RSS feeds. When you find an RSS feed that you would like to subscribe to, simply click that RSS feed’s icon and Opera will give you an option to include it via Opera Mail. Opera Mail is an RSS reader too. Opera Mail allows users to surf the Internet, read email, and subscribe to RSS feeds all from a single and familiar user interface. 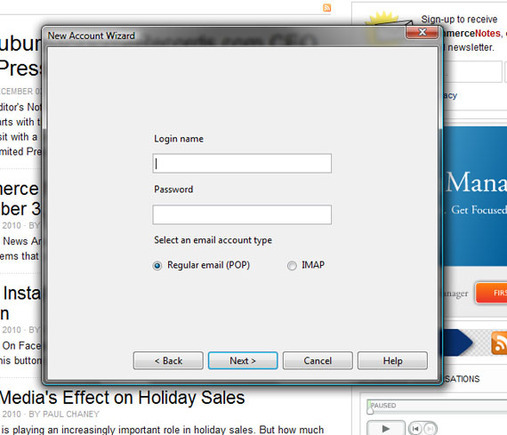 The service also makes it easy to see all of your various email accounts from a single solution.